Why the "S" i.e. Scout in the designation? It makes sense with dive bombers (SBC, SB2C, SBD), various observation types (SO2C, SO2U), but it doesn't make much sense with the SNJ (considering it wasn't a combat type and didn't usually operate from carriers and never off cruisers/battleships), and even less sense in the case of the SNB. Also, the first Navy North American trainers were called NJs. Considering the time they were procured, there wasn't a need for a phony designation to hide the contract. Last edited by JohnB on Thu Apr 11, 2019 6:12 pm, edited 1 time in total. I know what the S means...I didn't spell it out because I figured everyone here would know...but why the "Scout" prefix...when neither were used in that mission? I guess they met the criteria to be considered "Scouts" if it came to that. Wondered the same thing about the SNV. Happily we never got that hard up that they had to be used much for that. If you look back at pre WWII aircraft, almost everything was a scout. The US had very few fighters and bombers and they just grouped everything else as a scout. It goes all the way back to WWI when the first planes were used for artillery spotting and scouting. Come on, no Navy experts out there? From what I understand, the Navy's trainer designation "N" (ie. N3N or N2S) was only applied to the equivalent of the USAAF's primary trainers while they used the designation "SN" for scout trainer, for what the USAAF called a advanced trainer. It looks like "SN" was only used from 1939-1946 when all trainers were designated "T". My guess was it was a quick way to designate the newer more advanced trainers they Navy needed to get pilots up to speed for the newer,faster, more modern fighters that started to appear at the outbreak of the war. The USN had a very convoluted way of designating aircraft right up till the common system applied in the 1960's. Considering the "T" was unused in 1939, I can't even begin to guess why they didn't use that for trainers. I blame it on a bunch of old salty Admirals sitting around a desk trying to figure out how to designate these new fangled flying machines..lol. Along the same lines, the Army AT-6 versions were preceded by the BC (Basic Combat)-1 and BC-2. 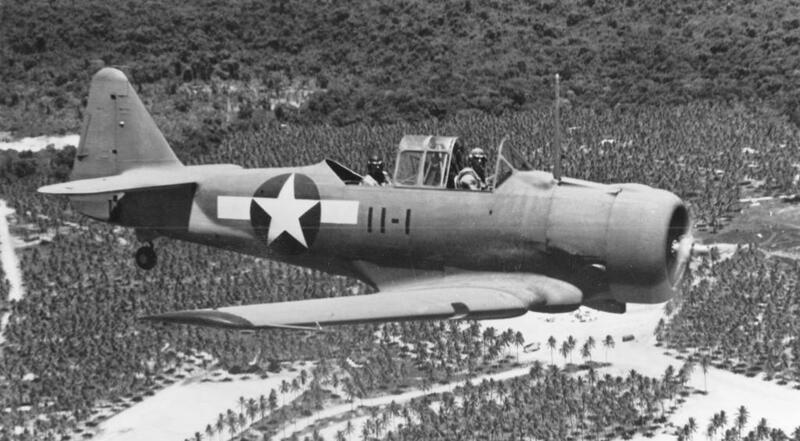 The BC-1 was the equivalent of the SNJ-1 and the Harvard 1. Didn’t they have a machine gun in one or both wings?